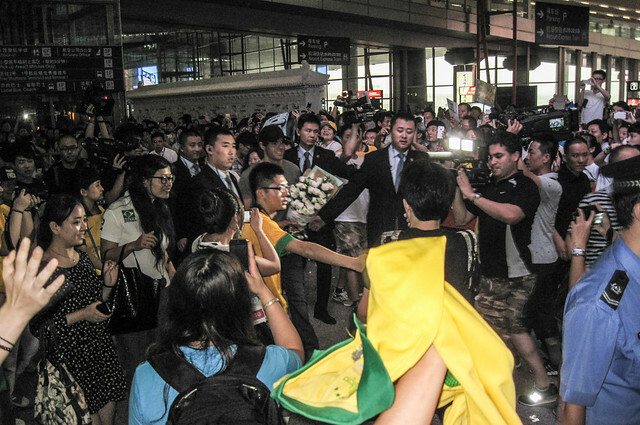 When I went with my father-in-law to the airport on Monday to collect Shanshan from a ten-day trip to Germany, there was a crowd of people lined-up to great this guy called Kaká. I mean, the only football that I ever followed was American… and even that was mostly the 49ers during the Montana-era. As usual, click on the pictures to see bigger versions at flickr. btw, the wife had a great flight back.